It’s just been crazy around here and I have simply not had the time to do anything even remotely crafty. But my FIL sent me this little gen this morning and I thought it was so fabulous I thought I would share a couple of the geeky goodies. 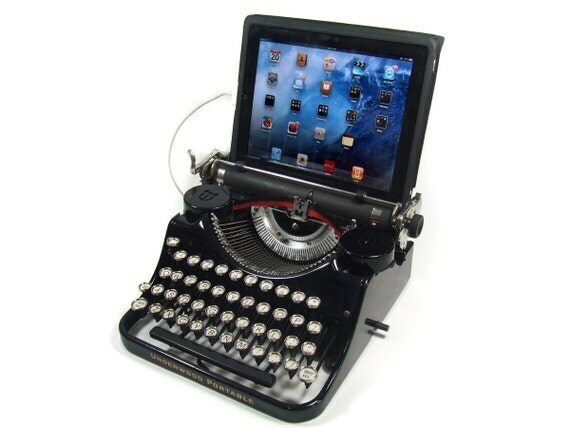 First, for the steampunk fans, this USB typewriter. Type on the keys and it shows on the screen. Genius. Expensive, but a DIY kit can be had for $74. Read about how it works here. 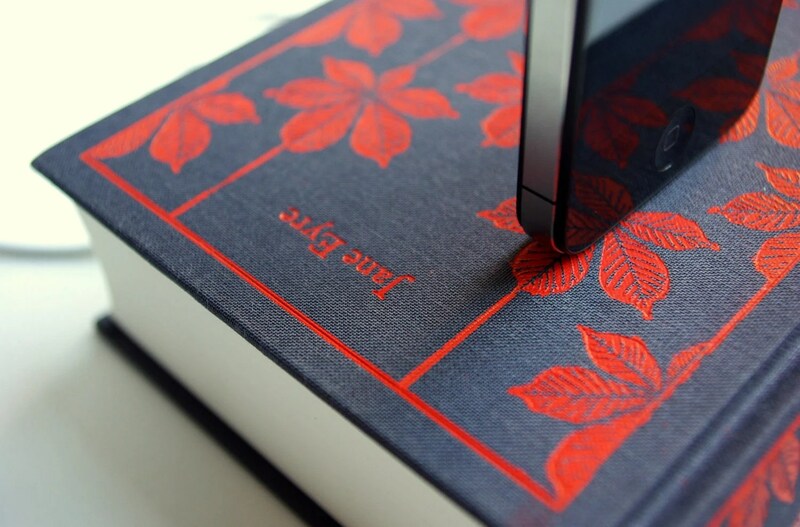 And while I know sme people hate the idea of re-purposing books, I liked this idea of taking an old book (or even a new one) and turning it into a charging dock for the iPhone. I wonder what Siri would say? and this one is ALMOST scrappy, pixel tape. So maybe just the thing for the geek in your family for Christmas. Categories: Christmas, non-scrapbooking | Tags: Christmas, iphone dock | Permalink.